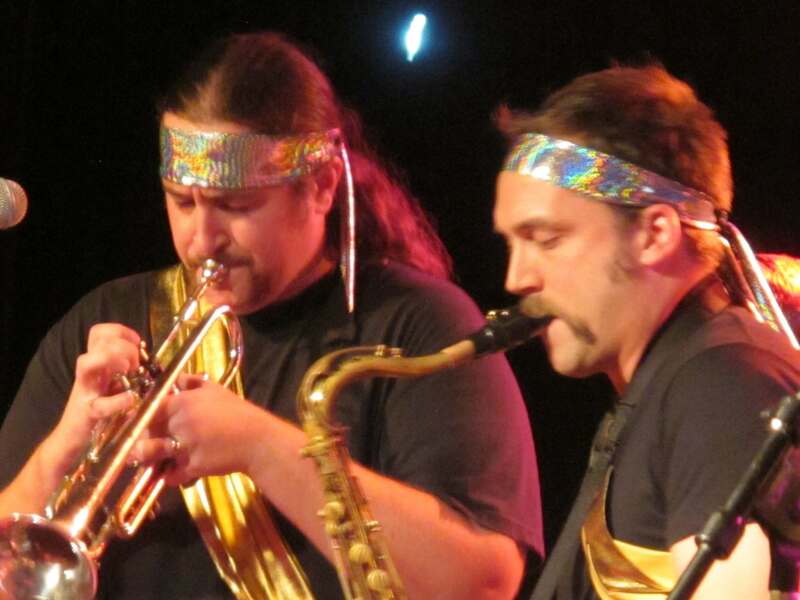 Jerseyband, a collective of two tenor saxes, baritone sax, trumpet, bass, guitar, and drums, play what they call "Lungcore" - a genre that infuses a horn-driven band with heavy metal sensibilities. Formed in the summer of 1999, Jerseyband is not your typical horn-band. The horns of Jerseyband often function as another part of the rhythm section; joining forces to pound out riffs like a huge pneumatic guitar. 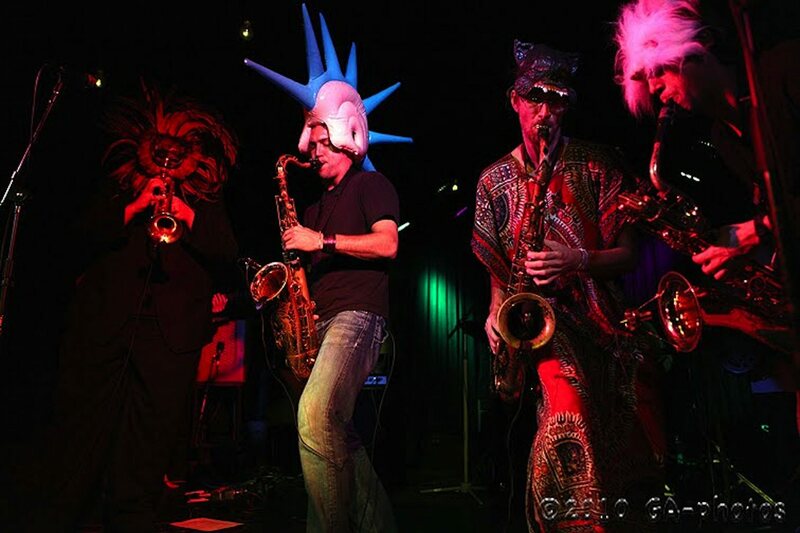 At a Jerseyband show, you're likely to hear saxophones playing lots and lots of low notes, often at great speeds, and with a bit of slap-tongue peppered on top. You'll also hear a trumpet player doubling as a death-metal vocalist and a rhythm section serving up grooves that aim to annihilate. 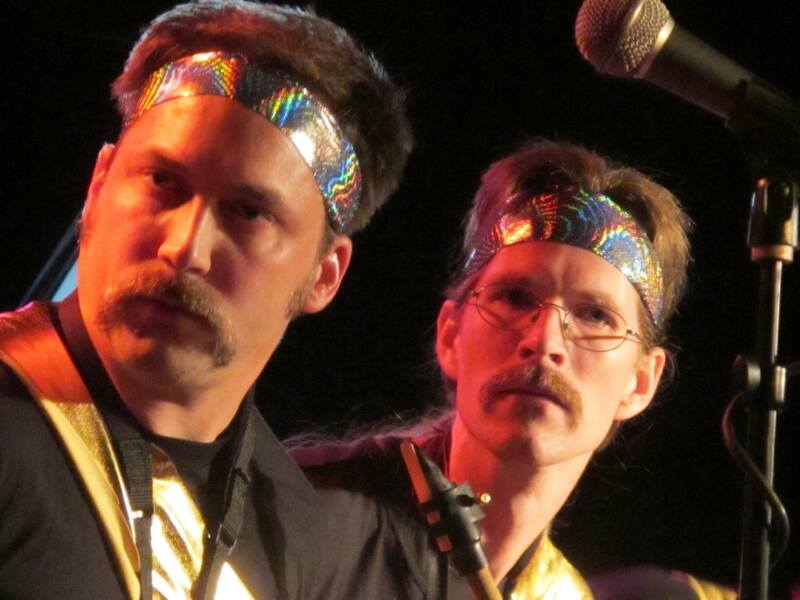 Jerseyband is dedicated to a very high level of performance, but they don't take themselves too seriously. Their live shows pack a powerful lungcore punch, but there is always an air of humor pervading the set. 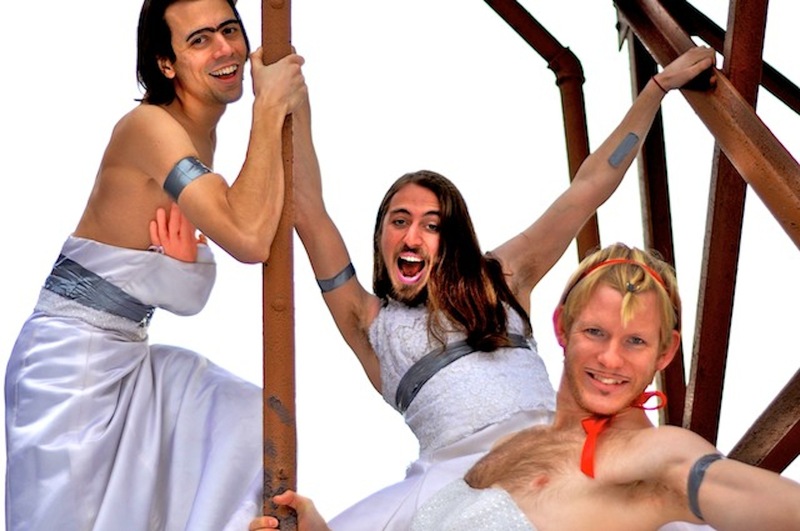 Shows often include costumes, impromptu stage choreography and the occasional hair-cut! 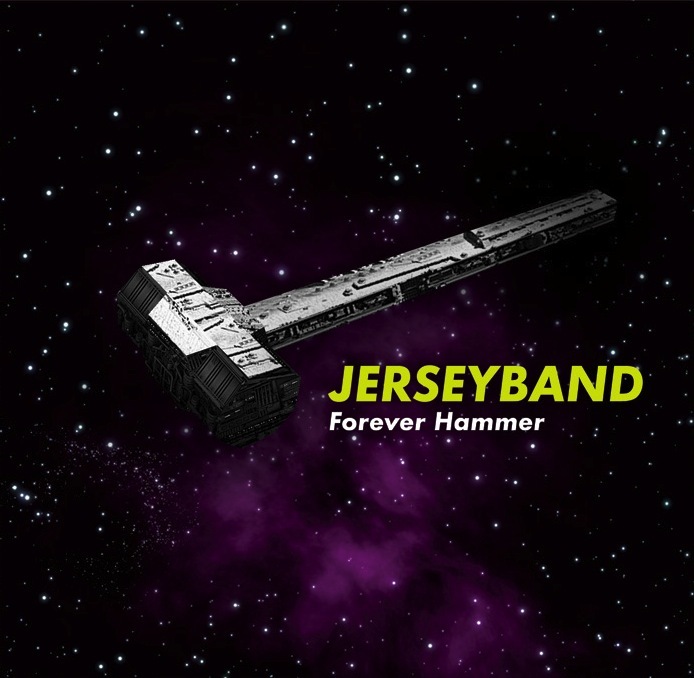 Jerseyband's 7th independent release, titled "Forever Hammer" features detuned guitars, brutal drumming and their regular mix of guttural, bowel-loosening horn lines. JERSEYBAND thanks everyone who toughed it out and came to our shows in Washingtone DC ATLAS ARTS, Baltimore at the Otto Bar, and Brooklyn at the Trash Bar. You're screams and hoots are greatfully noted. Check back here to learn about more Jerseyband events. We LUNG you all! Join our email list for future notifications of Jerseyband's doings and happenings!